Well today's blog is about the Korean style BBQ food which is very popular in among young genereation. Last Friday I dined at a restaurant which is most famous in Geoje for the BBQ style food. The resturant name is "Lee Seo" which offers the most amazing BBQ in the town. Korean barbecue are style food has grilled beef, pork, chicken and fish. In Korean they sometimes call it Gogi Gui , Gogi as I told you means meat and Gui means roasting, Meat Roasting. 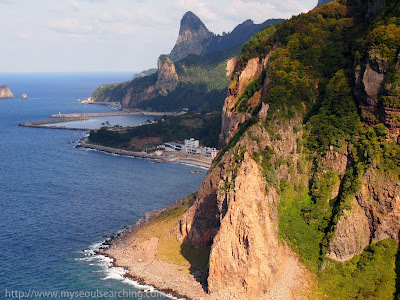 Note: This guest post was written by my sister, Crystal, who visited Busan with her husband, Nick, back in March 2011. We thank her for her contribution to Soju Cocktail and for visiting way over here.